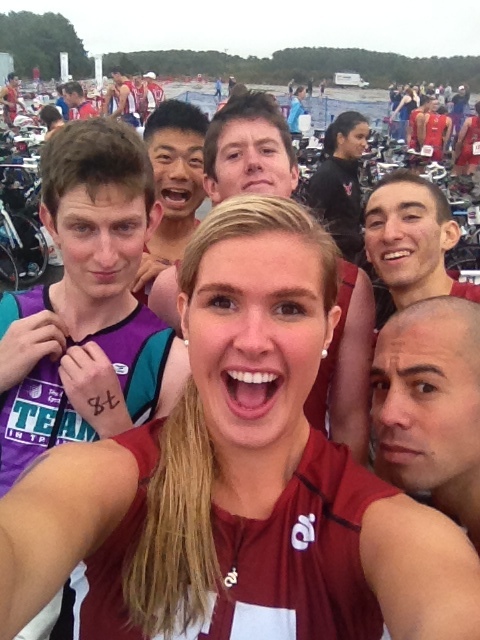 Create a Triathlon Team At Your School! Since triathlon is a relatively new sport, not all schools have a team in place: including my university. Because of this, I don’t have too many triathlete friends here at school, and I usually train by myself. If your school is without a tri team like mine, don’t let this discourage you- create a team yourself! 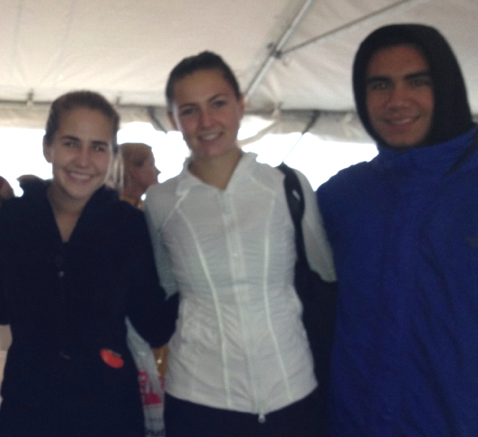 Despite not having an official school team; Stephanie, Ryan, and I (all Boston College students) competed together this past fall. Check with your sports office on which channel is best for creating a new team. My school advised me to apply within the Club Sports office. My friend, Ryan, and I are currently working on submitting the application. We hope to create a team so that we can train and race with friends while representing the school that we love. I’m working on communicating with other schools to get tips on starting a triathlon club. If you have any advice, email me at kadams@youngtri.com :). Also email me if you’re a student at Boston College and are interested in joining the team! Bike shoes, bike gloves, that thing that holds the front tires, and …Netflix? 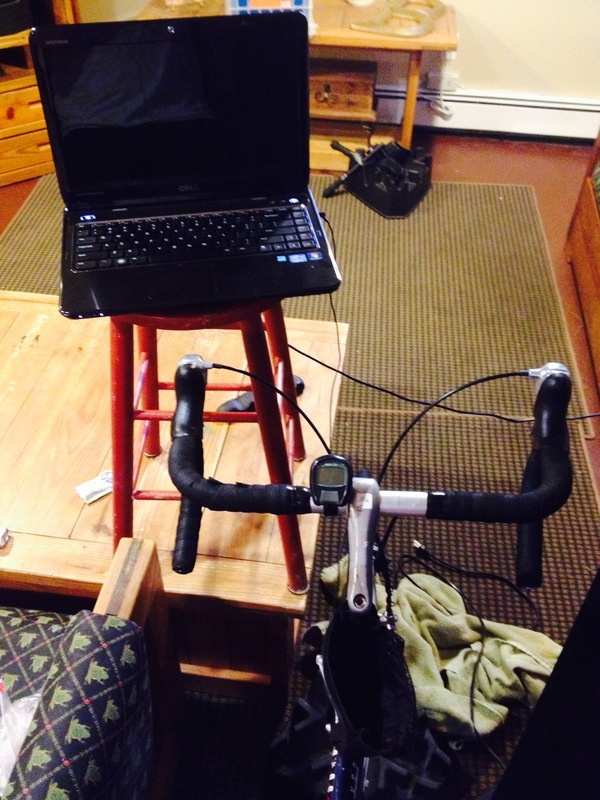 A two hour bike on a trainer can be quite monotonous. The same motion over and over — sometimes at the same cadence and speed for long periods of time. It can get boring. 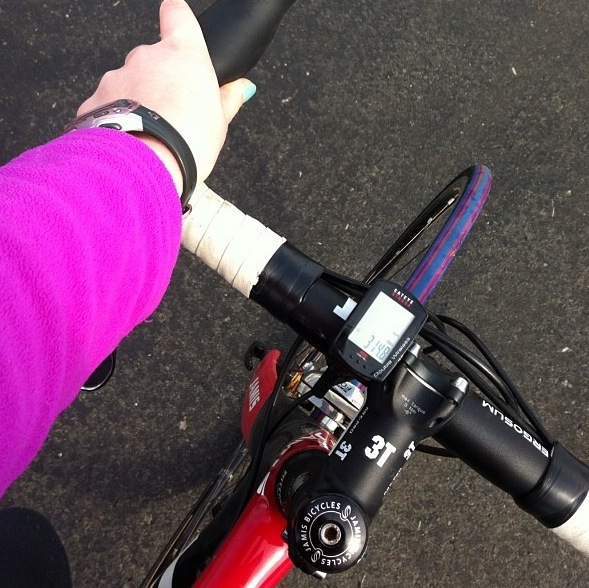 There is not a crowd cheering you on or interesting trees or street signs to keep your mind on anything but the bike. When biking outside, this is not as big of an issue. For one, you have to remain focused to be safe. Not only that, but the world that is whizzing by is often interesting enough to entertain. When biking inside, on the other hand, boredom is a large issue. Some people turn to music. Some people turn to listening to books. And some people watch tv. Unfortunately for me, there is not very often a good show on when I am biking, and there is only so much “on demand”. My solution? A stool, my laptop, some headphones, and a Netflix account. Two hours doesn’t seem so long when I’m watching my favorite show or movie. An action movie can make me increase my speed just as much as any pump up song. My favorite character running from an explosion is enough to keep me going. Even just a sitcom is enough for me. When it comes to biking, music doesn’t have to be the only thing coming out of your headphones. 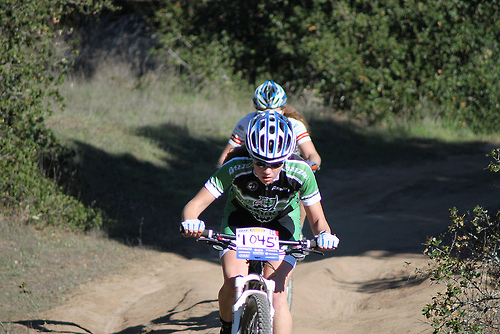 NICA: High School Mountain Bike Racing League! 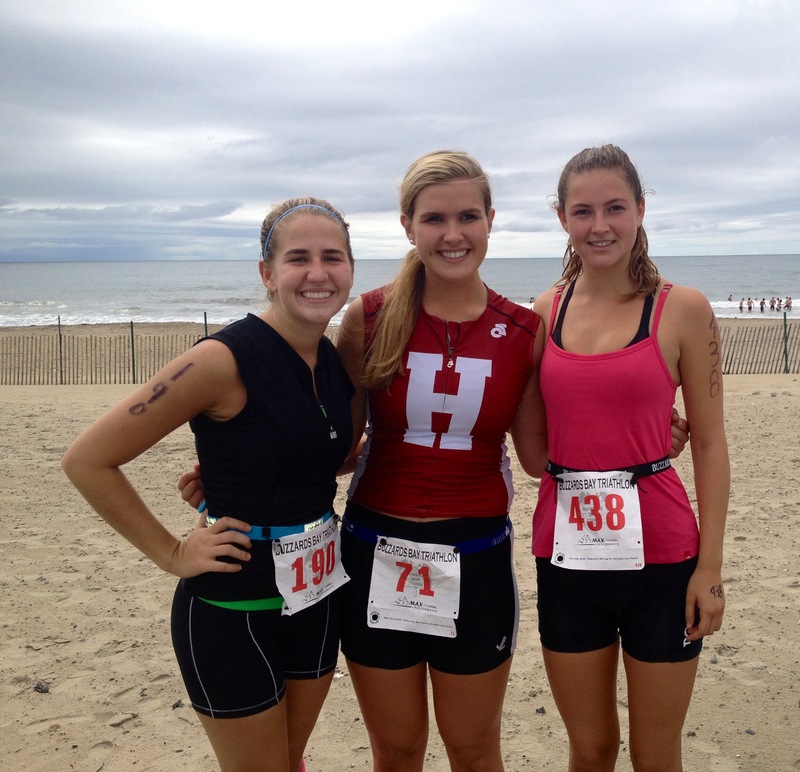 The following is a post from YoungTri Member Julia Mace, a high school student from Northern California. 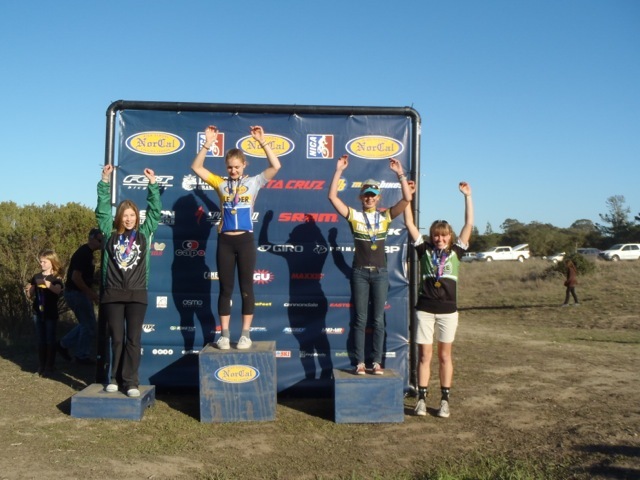 She is a member of the National Interscholastic Cycling League (NICA) and will be sharing some of her stories with YoungTri over the next few weeks! 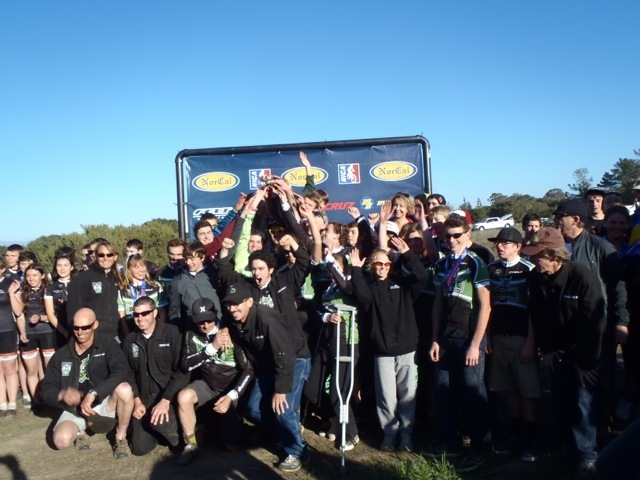 The National Interscholastic Cycling League (NICA) is a high-school mountain bike racing program in the US with 13 different leagues and a goal to be coast-to-coast by 2020! Although it is not triathlon or even road riding, when I learned about my school’s team I figured that it would be fun to be with a bunch of teenagers who appreciate the hard training and racing. I have actually become a stronger cyclist from both a strength and technical skills perspective from this league which translates well to triathlons! I have also met two other triathletes on the team and have convinced a couple boys to join me in an XTERRA this summer. 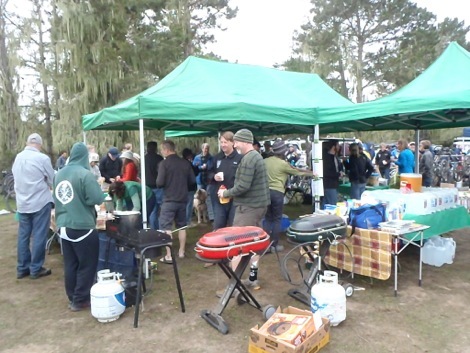 NICA leagues vary by size, but new leagues have around 100 riders per race and NorCal (the league in which I compete) had over 600 riders at the opening race last weekend. Many schools are developing teams, but riders can also compete as “independents” or as part of a multi-school “composite” team. Although this is my first year racing on one of the strongest teams in the country, I am having a great time. So far, there has been tons of camaraderie, parental and community support, as well and great races! I’ve also made quite a few new close friends. I’ll be sharing some more of my NICA stories with YoungTri over the next few weeks! 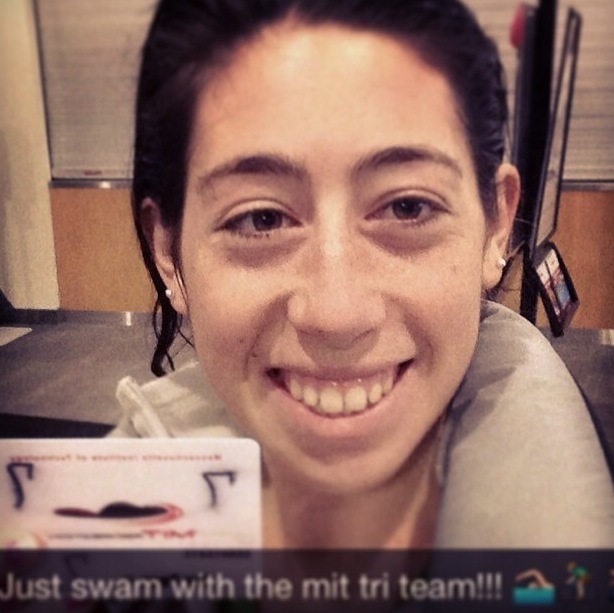 YoungTri Ambassador Jessica at Tufts after swimming with the MIT Tri Team! 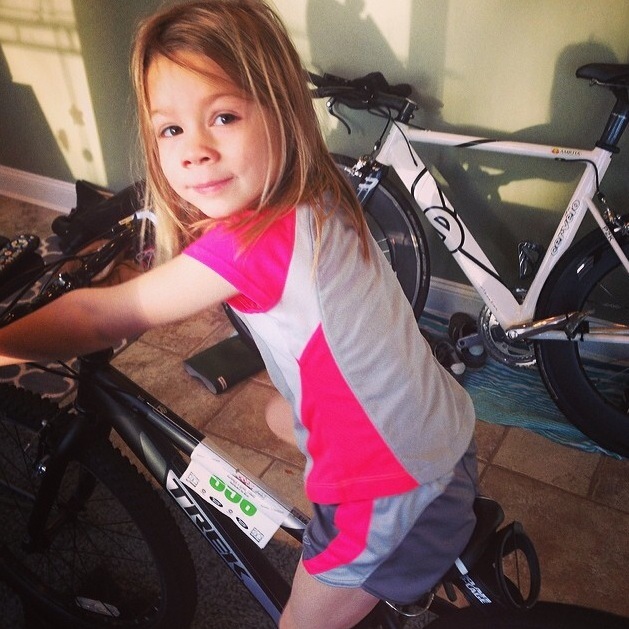 Ambassador Zoey from Washington’s post mini-triathlon reward this week! 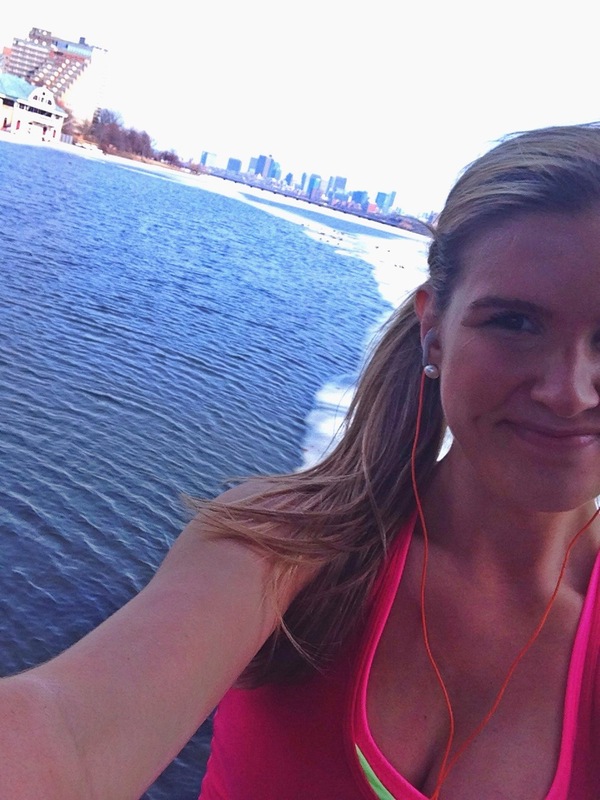 Ambassador Brittany from NJ’s warm outside Sunday ride! Mid 50s in New Jersey in February! 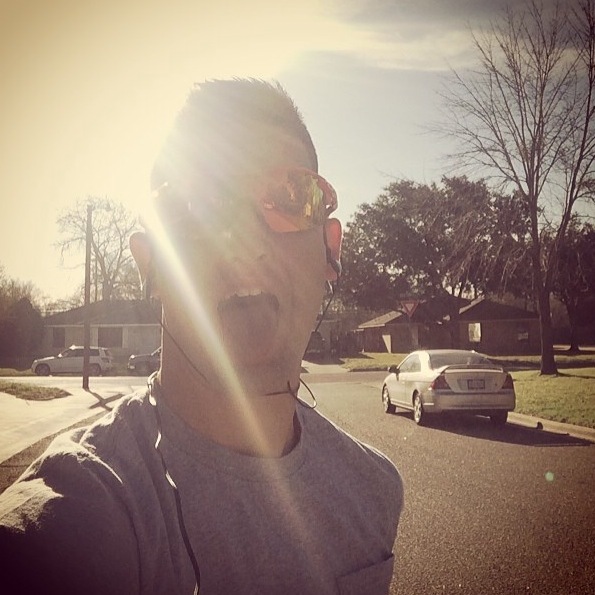 Ambassador Kasey from TX waking himself up with a sunny morning run! Ambassador Liv from NJ after reading & riding for an hour! 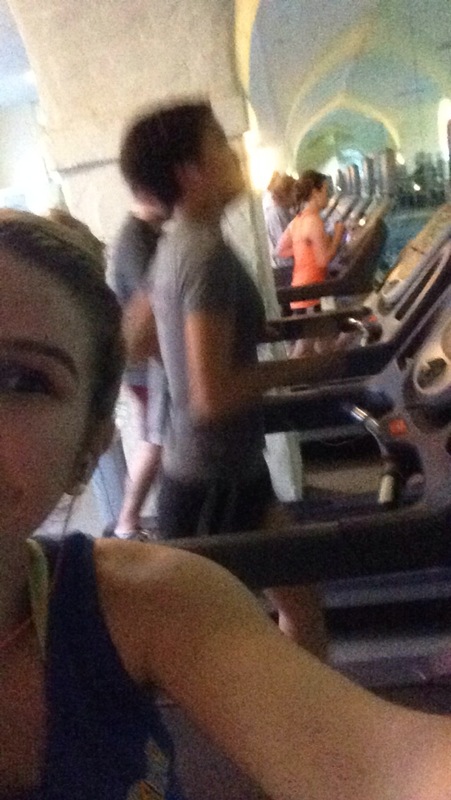 Got a good bit of studying and working out in – wahoo! 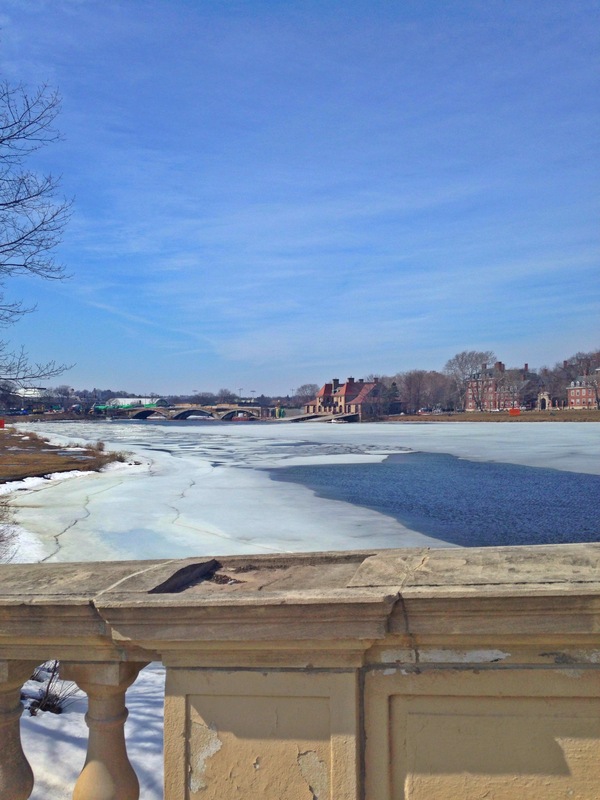 …And The Spring Triathlon Season Begins! 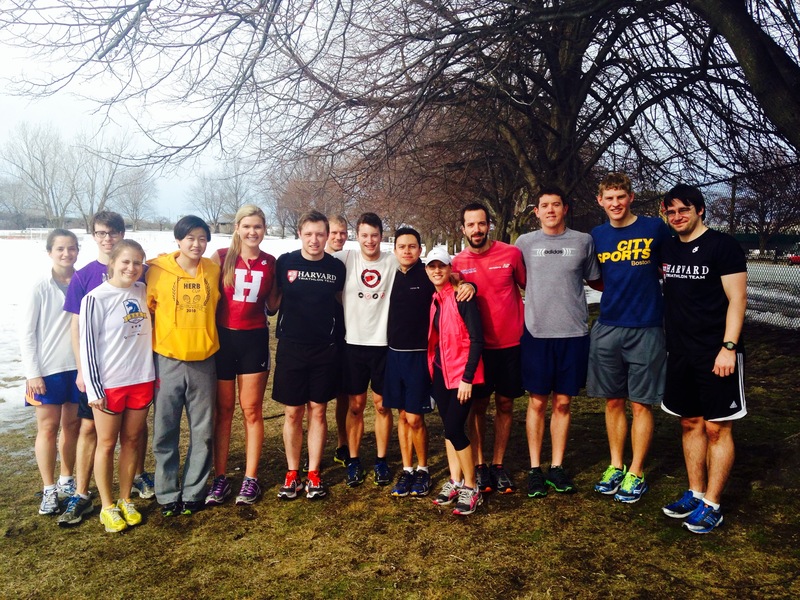 This morning, the Harvard Triathlon Team had our first practice of the spring season! 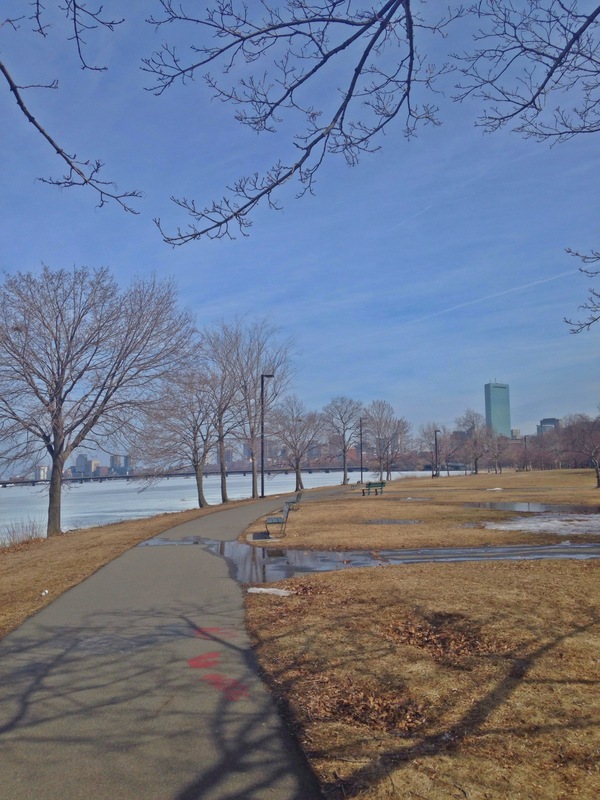 It was almost 50 degrees (IN FEBRUARY IN BOSTON) so it was a perfect day for an outside run. We split into a few pace groups, and each group did about 5-6 miles. It was a ton of fun! We had a team brunch afterwards in one of the dining halls. 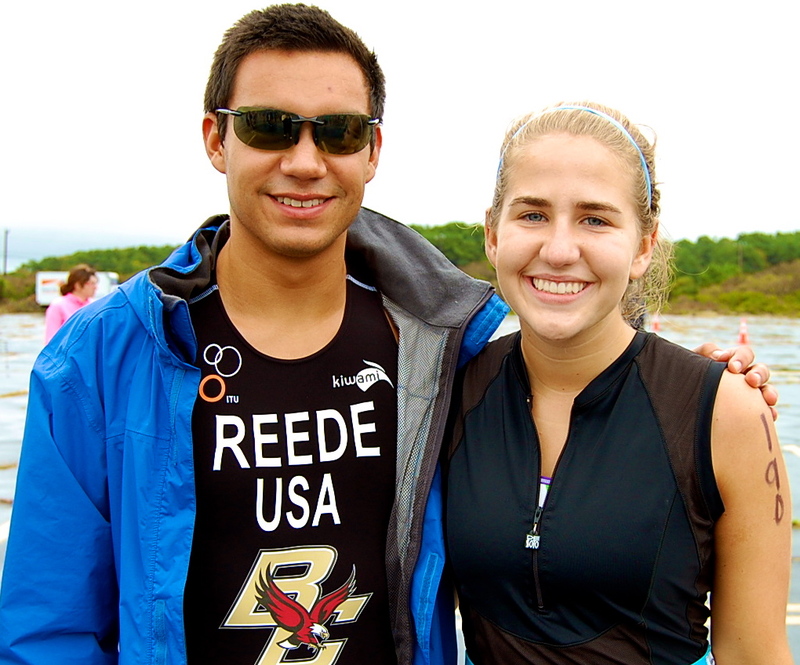 We’ll be featuring some pictures from spring practices and events of other collegiate triathlon teams over the next few weeks, so stay tuned! Send us yours if you are a part of a collegiate club! Tweet at us @theYoungTri or email info@youngtri.com. 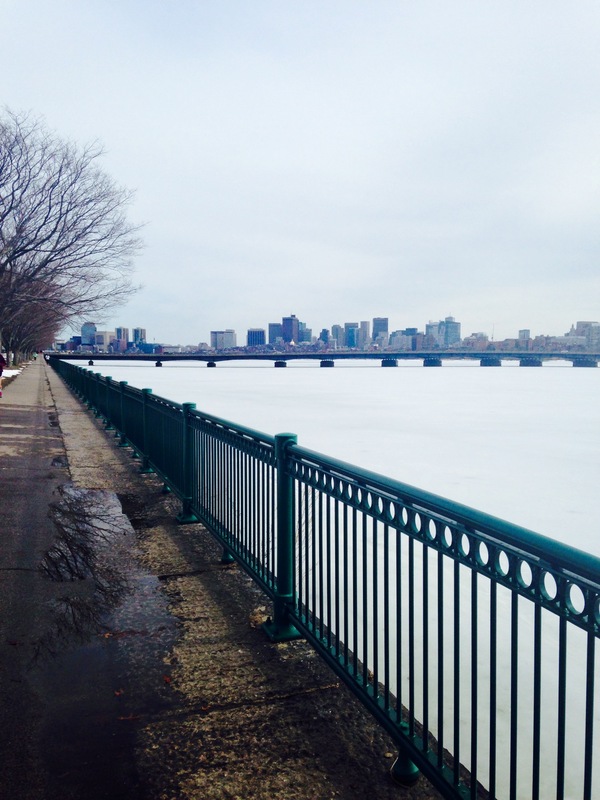 Beautiful scenery on the run 🙂 Love the Charles! Crystal and I ran together most of the time! 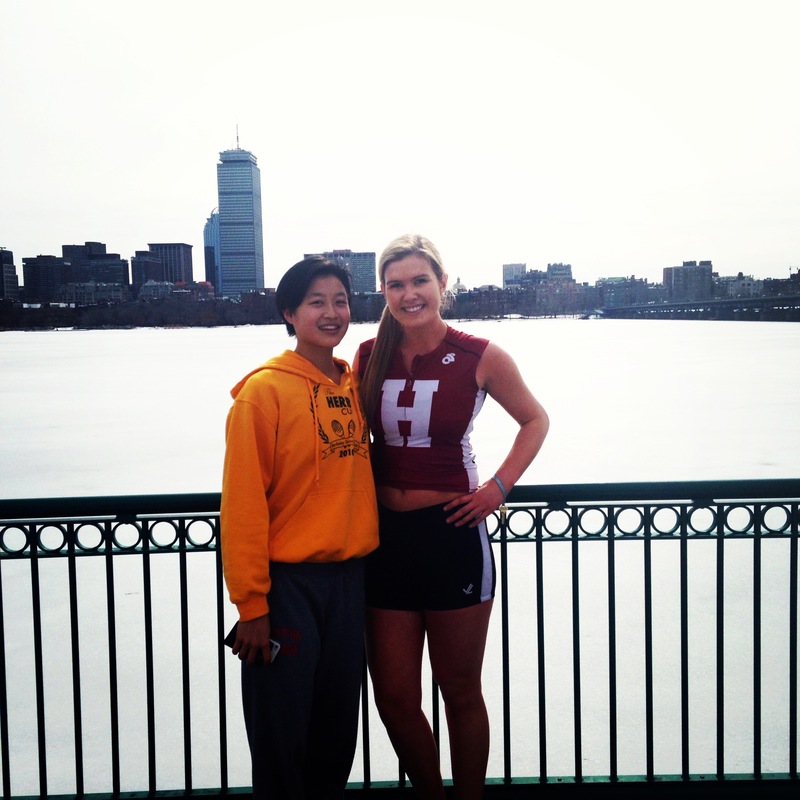 First Spring Harvard Tri Practice Tomorrow! 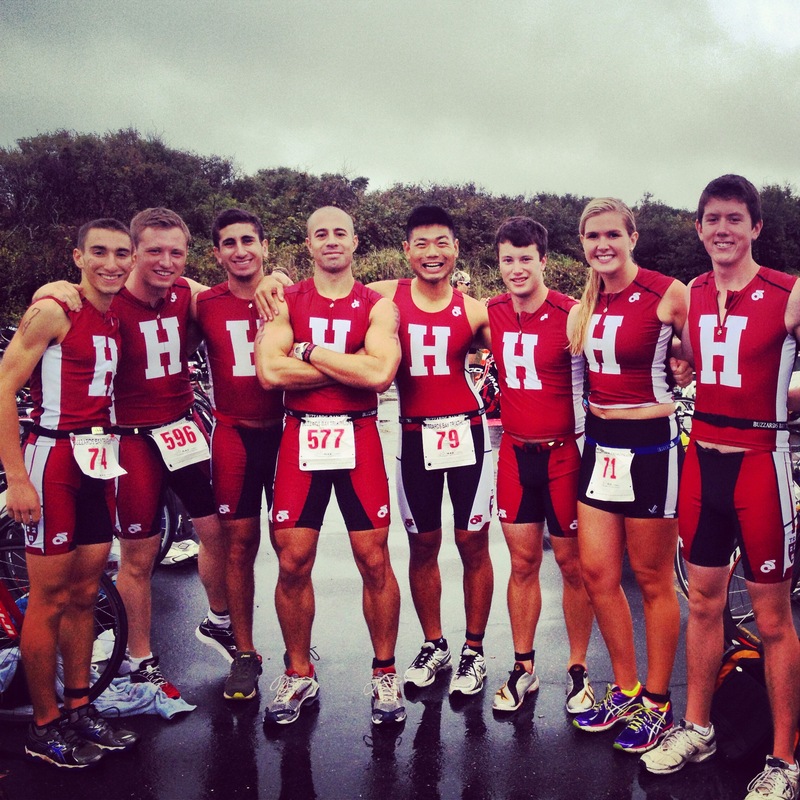 Getting excited for the spring triathlon season – the Harvard tri team’s first practice is tomorrow at 10:30 AM! If you’re on a collegiate team, we want to see pictures from your spring practices! Tweet us @theYoungTri or email info@youngtri.com! 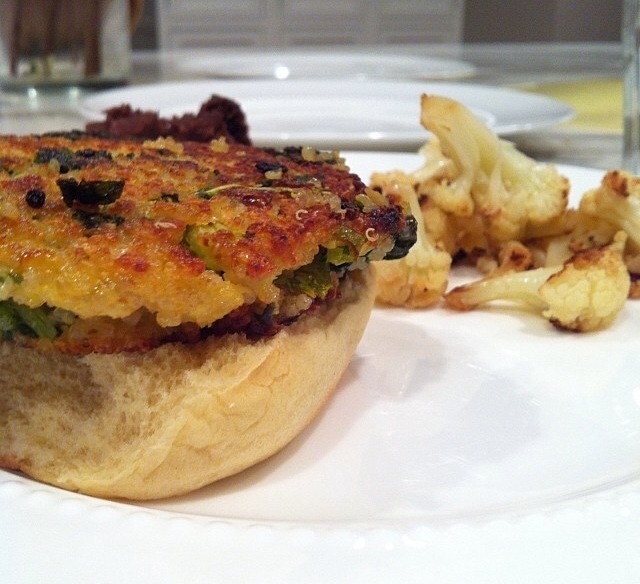 This is a post from YoungTri Contributor Patrick LaBrode. 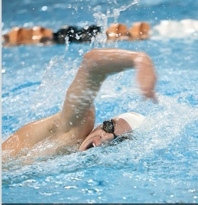 Patrick is a Sophomore on the University of Texas at Austin Swim Team. In the Zone at UT! Being an endurance athlete is the furthest thing from easy! We (triathletes, distance runners/swimmers, and cyclists) have to spend many long and grueling hours training a week for a race that could 1 hour to 12+ hours. 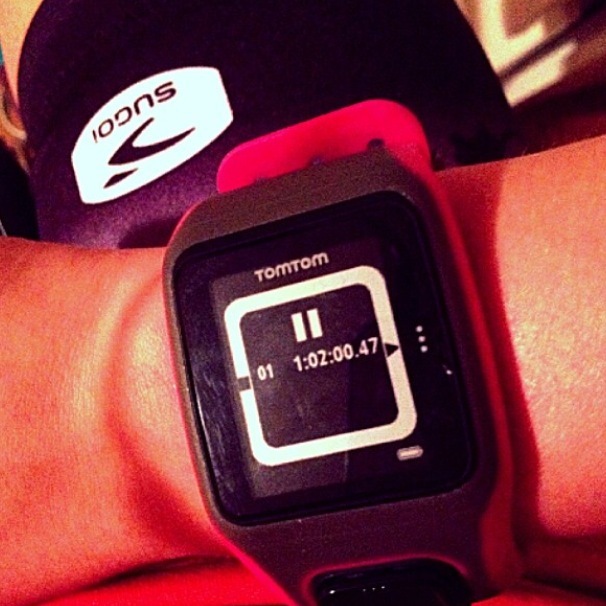 Although endurance training seems impossible, once you “get in the zone” you can feel like you never want to stop! They are stunned when I tell them I swam 9,000+ yards (around 5 miles) in one practice. And the only response I have is that “I get in my zone and just go.” Getting in the zone is something hard to explain to people outside of the “endurance sports world”. All of the sprinters on my team say if they were given a long-distance set, they’d get extremely bored and tired and give up. But what is different about us endurance athletes is the ability to get into that distance “zone”. Getting into my zone consists of me catching the right stroke rhythm. When this happens, my stroke seems in sync with my breath and my kick. I feel the pull of the water with every stroke and my stroke feels strong and relaxed. As my strokes begins to get in the right rhythm, I also might sing a song in my head that fits the speed/rhythm I want to achieve in my workout. Once everything is together, you feel it, and then you just keep going until the end of the workout or set. 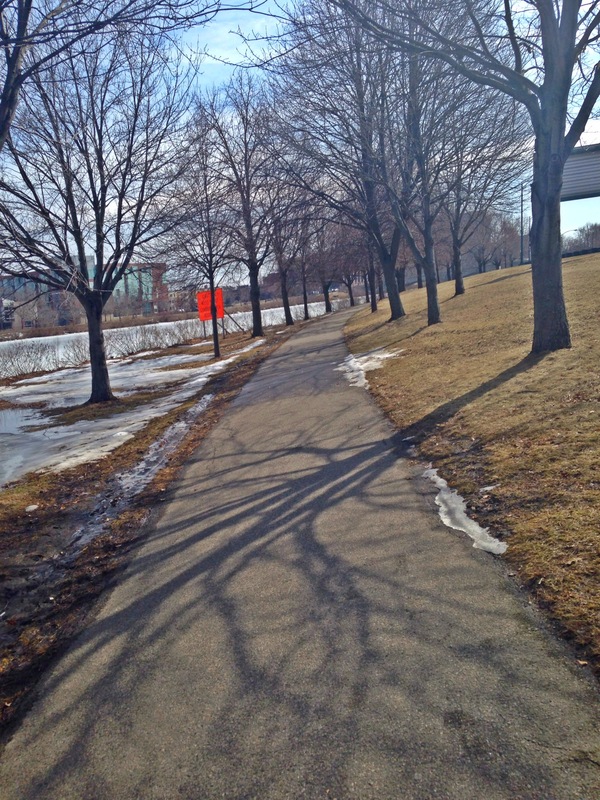 As I’m in my zone, I also like to focus on what’s ahead of me. Is there a turn coming up? How long have I gone? What is my pace? All of these questions help yourself stay focused on the present workout and keep your mind from wondering. So, next time you’re headed out to the track, road, pool treadmill, trainer, etc. 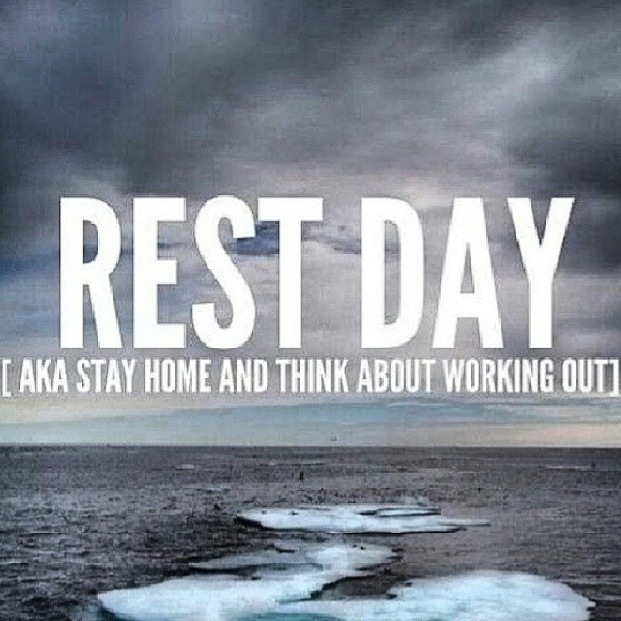 try to think about your body and mind getting into the zone to maintain consistency and keep focused. It’s a great habit/tactic that distance athletes have, so use it! I found this quote this week — and it COULD NOT be more accurate. 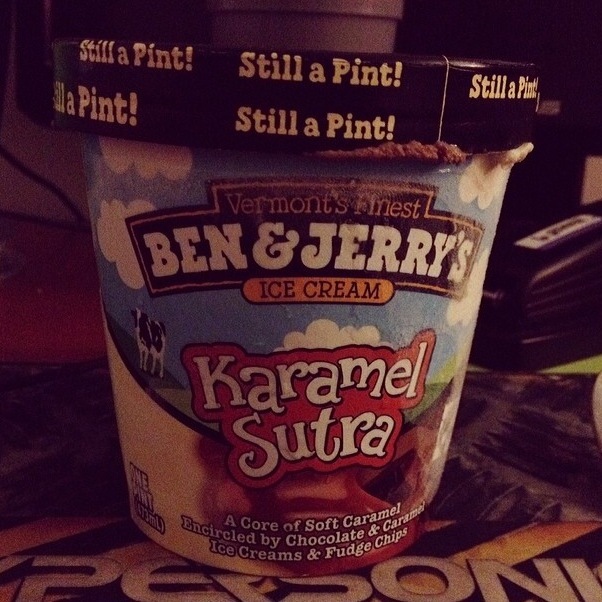 Last week, I found myself super stressed and not in the best of moods in general. I was finding it quite difficult to get out the door and work out. But, I began to realize as the week went on that as tough as it was to get back into a normal workout routine after being sick/injured, workouts are the best mood enhancers. I noticed that I felt a lot happier and less stressed after each workout. Of course this feeling isn’t especially new, I just noticed its positive effects especially in my last few bikes and runs this week 🙂 . Take a moment this week to use your workouts to channel all the stress and negative energy that has been bottling up inside of you. Let go and PUSH. 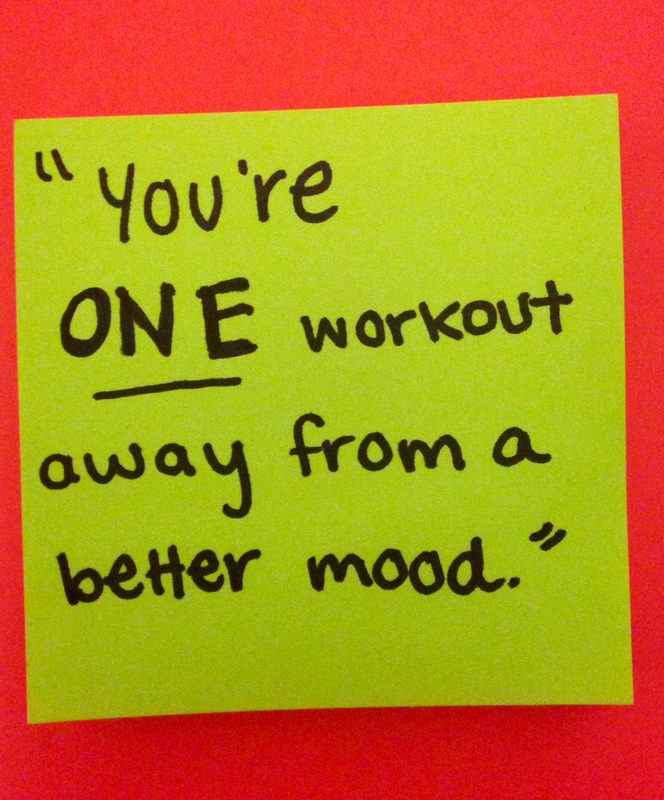 Feel that endorphin release — and enjoy it. 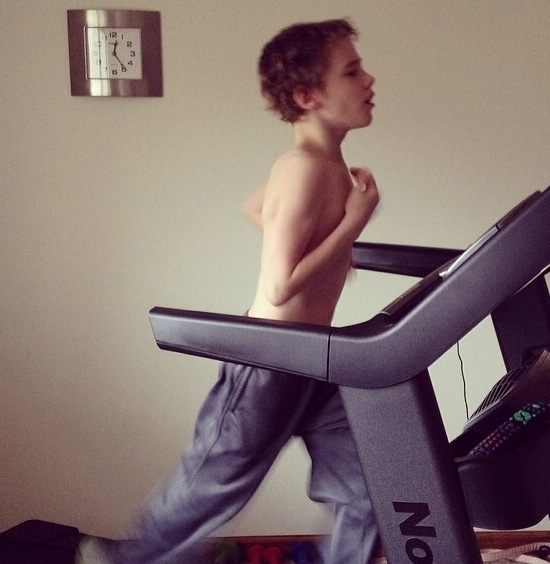 YoungTri Ambassador Luke killin’ it on the treadmill! 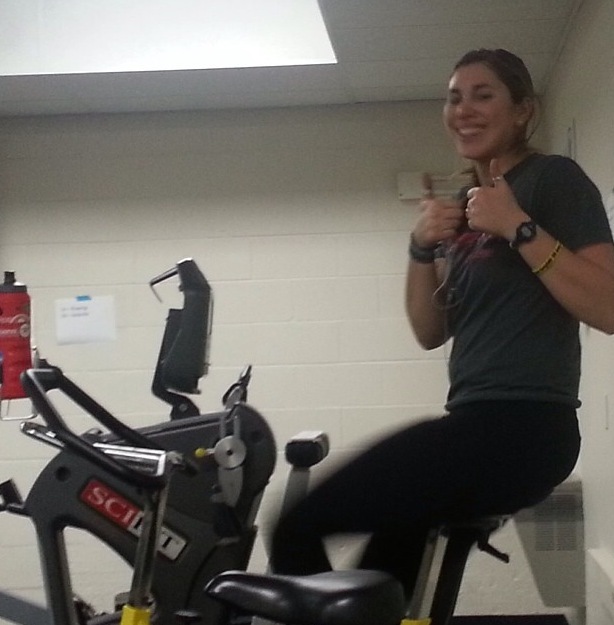 YoungTri Ambassador Zoey all smiles after her indoor workout! 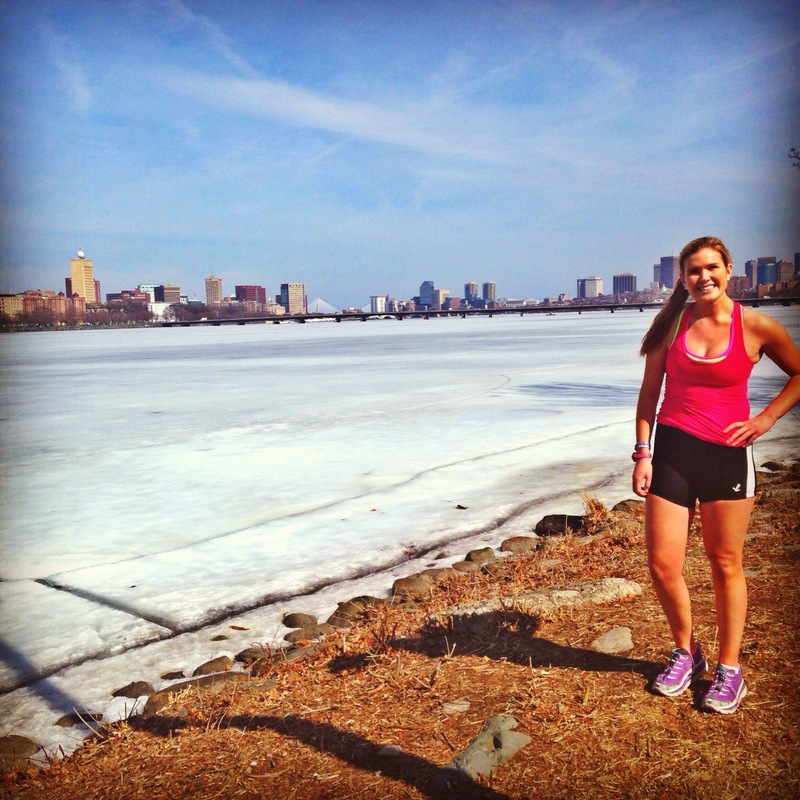 Workout selfie – Harvard tri girls take the gym! Better moods as a result! Do you find that training is a way to put you in a better mood?